When shopping for a home – we tend to shop with our eyes…we get giddy at the colour schemes in a house, the type of staircase it has, perhaps the nicely laid out kitchen, etc. But what about those other homes – the ones that need new carpet or paint. The ones that have good structure but are out dated and need a little TLC? The point is – when we buy a home, it’s easy to overlook a house that may not have a desirable colour scheme, or a bathroom that could use a complete renovation…and who wants to do that – what’s more, who has the money to do it? Especially after scraping together a Down Payment, Legal Fees, and of course the cost of Moving. 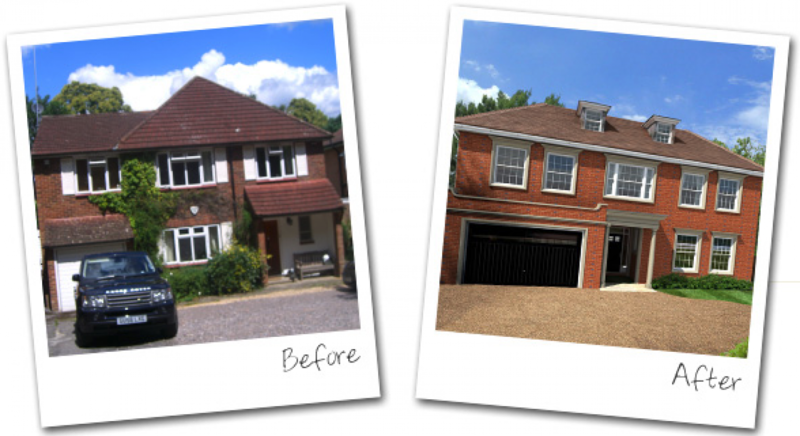 What if we told you we could include the cost of a renovation or a few improvements in your new mortgage? Would you reconsider that house that needs some new windows or maybe basement bracing? It’s called the “Purchase Plus Improvements”. This product is great for those homes we described above, the ones that could be great, if only they had a few renovations thrown at them. There are 2 avenues this product can work. 2. Or you can do the work yourself. This method is quite simple. A Contractor comes in with you to discuss the improvements with you and then they provide you a written quote for the work you want to have done. That quote can then be added to the purchase price and after you take possession, the Contractor is obligated to come in and complete the work. The funds for the improvement are held in a Trust Account with the Lawyer you use for registering your mortgage – the Lawyer holds these funds until the quoted work is completed. Once the work is done – the Lender will instruct your Lawyer to release the funds they held back. Some folks are handy by nature and are not afraid of a little construction. These individuals can also take advantage of the Purchase Plus Improvements Mortgage. But there is a catch…in this scenario, the individual has to obtain a complete quote for the materials necessary to complete the renovation they want to do…let’s say they want to renovate the Bathroom. The purchaser would obtain a quote for all the materials needed for the job. They could use one store, say Home Depot, for everything or they can use multiple suppliers – there is no limitation on where the materials are purchased. In this case, the purchaser would buy these materials – complete the job – and then upon completion, they would be reimbursed for the work they completed based on presentation of the “Paid” receipts for the acquired materials. 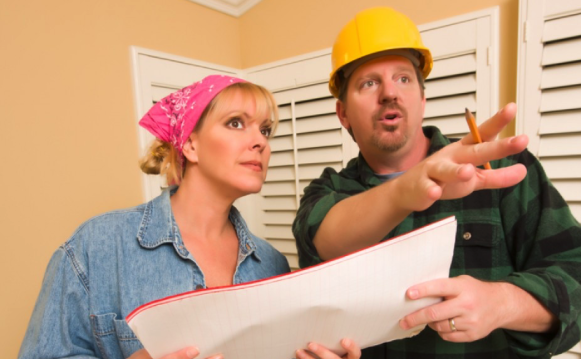 In both cases, it is necessary to point out that a home inspection OR home appraiser will be required to review the quotes and then inspect the home after the renovation is complete. Their job is to make sure the renovation is complete, as described in the quotes, and also to confirm the workmanship is appropriate. This comes at a cost to the client – usually around $150.00 or so. 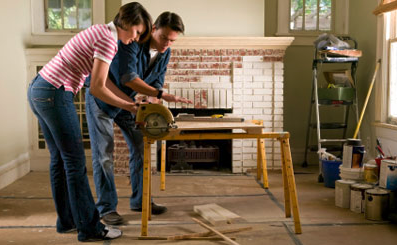 The appraiser or inspector provides a written declaration that the work is complete. This letter is provided to the Mortgage Lender and they in turn give the Lawyer the “thumbs up” to release the funds they hold in trust. Seems a bit complex, but don’t worry – it just looks that way. We’ll be sure to hold your hand throughout the process and provide you with the appropriate support and direction needed to get through it. Don’t forget to do something nice for a stranger today. You just never know when you can change someone’s life!